Home » A guide to Fraser Island, what trip should you book? Fraser Island is one of the very best adventure experiences that Australia has to offer. Located in Queensland, off of the coast of Noosa & Rainbow Beach (just above Brisbane) this spot is absolutely beaut. 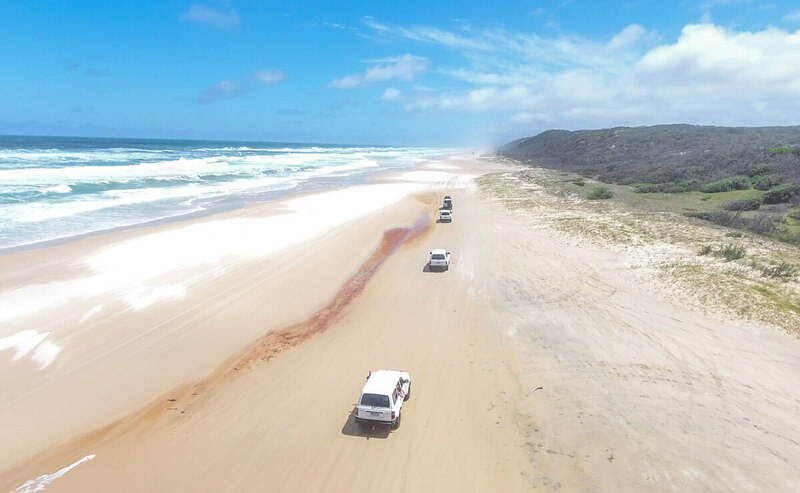 Fraser Island is filled with long sandy beaches, rainforests and freshwater lakes, oh and did I mention that there are no roads on the island, just a beach highway so cruising it by 4X4 is a must. On a trip here you’ll visit gorgeous natural tea tree lakes, the iconic Lake Mackenzie, the Maheno shipwreck, Indian Head (best views on the island), Champagne Pools, a natural lazy river at Eli Creek and drive through the tropical rainforest. 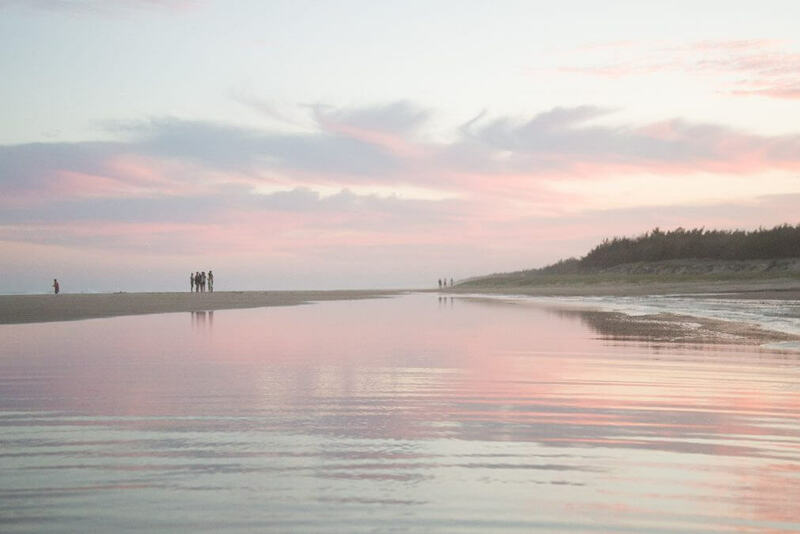 You’ll find Fraser Island on any typical East Coast itinerary, and it’s typical for a reason. It’s stunning and it’s one big adventure from the moment you touch down. 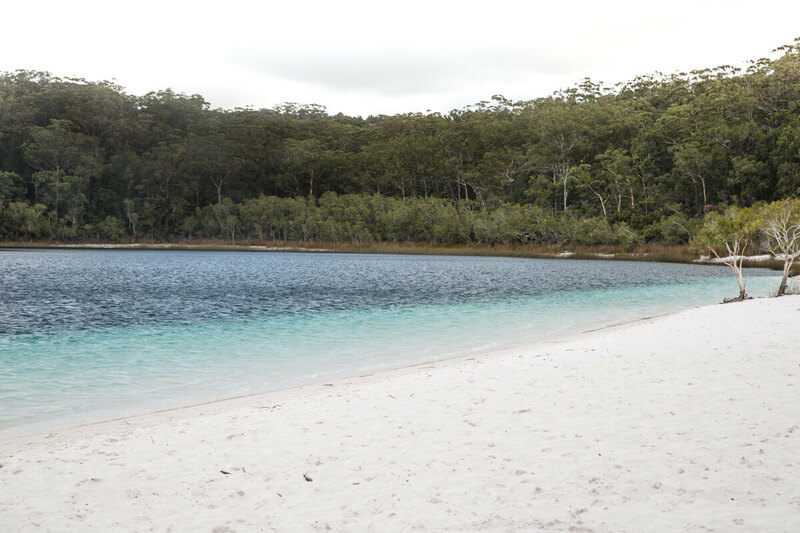 Fraser Island is one of the few adventures that doesn’t really make sense to do by yourself. If you have access to a 4X4 you can indeed drive across to the island on the ferry without a tour, however, once you’ve paid for the jeep rental, insurance, national park fees, a camping permit, petrol, return ferry and food it’s not actually the most cost effective way. The question we are left with is, which trip do you book on to? Many will choose the most affordable option which is a 4×4 jeep Tag Along safari tour, where you can explore the island with other backpackers. On this style of tour you’ll have a legendary local tour guide who will show you the true beauty of the island. Between the group you take it in turns to drive and if you can’t drive or just don’t fancy driving off road – you can just kick back and relax and be in charge of the TUNES! Top tip: If you’re aged 21+ you’ll get the chance to drive the 4X4’s yourself. If that’s you, remember your driving license! What actually is a 4×4 Tag Along Trip? A 4×4 Tag Along trip is, in my opinion, the best way to see the island. Think cruising the island in a convoy of jeeps, tunes pumping, a group of legends and hitting all the epic spots. 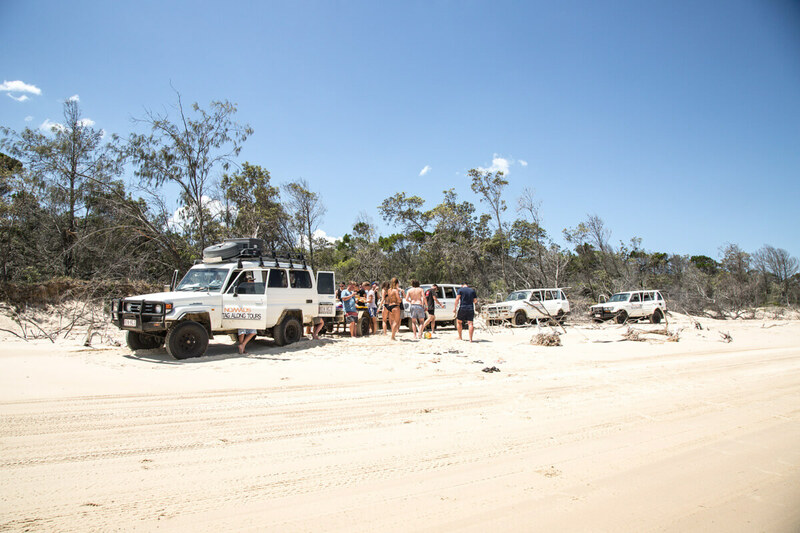 Choose one of the 4×4 tag along tours and you’ll set off from Noosa, Rainbow Beach or Hervey Bay. Each tour group consists of 4 jeeps with 8 people in each and one tour guide who will do everything from showing you the beaut spots on the island, telling you facts and teaching you how to drive 4×4’s along the beach. You’ll explore the island as a group for 3 days and 2 nights, expect each day to be full of adventure, unreal locations and banter. If you are pushed for time there are 2 day 1 night options too. There’s plenty to see on Fraser as the island is absolutely massive, 110 km long to be exact! On these tours all of your food and accommodation is included, but be prepared to pitch in and help with the lunches and dinner as this experience is all about pitching together as a group. Your accommodation will either be camping by the beach, tipi’s or dorms depending on the tour you choose. The Nomads adventure is all for exploring the island during the day and then it’s all about hanging with the rest of the crew over some drinks at the bar. If you like a party and a super social vibe then this is the one for you! You’ll spend an epic 3 days and 2 nights exploring the island in a 4×4 convoy, you’ll see all of the hotspots including Lake Mckenzie, Maheno Shipwreck, Champagne Pools & Lake Wabby. Be prepared for all day, every day banter and very lively evenings with a good group! The accommodation for this trip is either in a tipi or in dorm accommodation. This tour is great because it’s all about cruising the island and seeing the highlights and making epic memories at the same time. Want to book this trip? Use the MOLLIE10 promo code when booking with RatPack Travel for 10% off your booking! Book your Nomads 4X4 trip here. The crew that run Drop Bear Fraser adventures are ALL about the good authentic times in a responsible way. These guys love their home and will make you fall in love with it too! The crew offer a 4×4 safari with camping accommodation. You’ll spend an incredible 3 days and 2 nights camping right by the beach under the stars at night and cruising the island by day in the 4×4 jeeps. 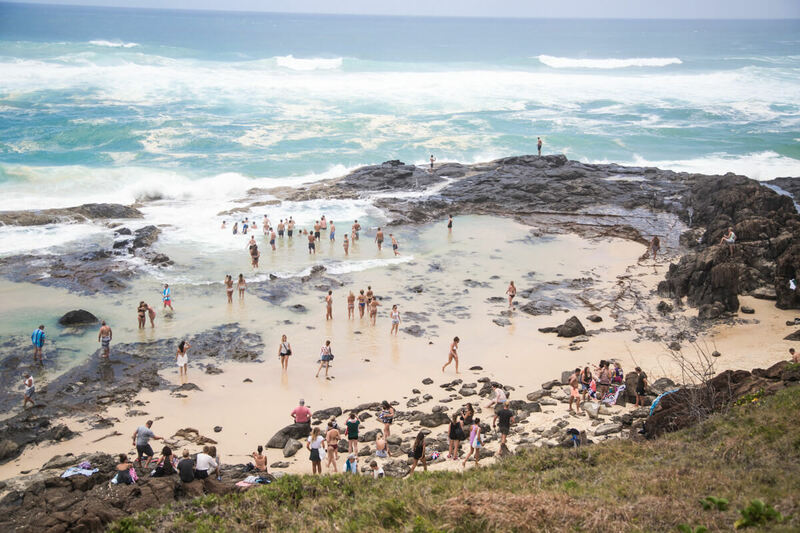 You’ll hit up all the hot spots including Lake McKenzie, Maheno Shipwreck, Champagne Pools & Lake Wabby. If you want an authentic chilled experience then this is the one for you. You’ll be hanging out at night around the campfire after an adventure filled day whilst the crew cook up some dinner for you. They’ll even throw on some live campfire sounds. You’ll see epic sunrises and sunsets whilst on this tour, so cameras at the ready, crew! All of your food, snacks and camping equipment is included in the price. Want to book the Drop Bear trip? Use the MOLLIE10 promo code when booking with RatPack Travel for 10% off your booking! Book your Nomads 4X4 trip here. – My boyfriend and I would like to book a Fraser Island trip, which should we choose? If you love evening drinks and an energetic young crowd – Nomads. If you fancy something more chilled, campfires etc – Drop Bear. – I’m travelling the East Coast with my mum, which Fraser Island trip should I book? Drop Bear all the way! 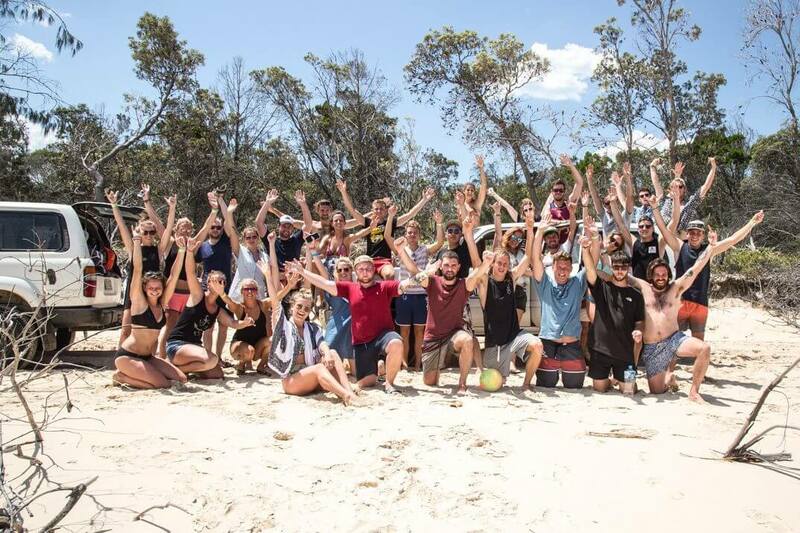 Seen a different Fraser Island trip you like the look of? There are other options that RatPack sell (and that you can use MOLLIE10 on for 10% discount) so if you’ve seen something you prefer drop Sammy at RatPack travel a message and he will sort you out. These were just my recommendations. Have you been to Fraser Island? What tour did you do? I’d love to know! Remember, if you’re booking anything in Australia (tours, transport, day trips, campervans) use the MOLLIE10 promo code to save 10% when booking with RatPack Travel: The only place I’d recommend booking.